One third of businesses around the country have an unfilled job opening because they cannot find qualified help. In South Dakota, one firm in dire need of welders recently offered applicants a $1,000 bonus to apply for a training program. And a Harvard Business School report found that nearly 70 percent of human resource executives who were surveyed said their inability to attract and retain middle-skills talent often gets in the way of their company’s performance. That’s why career education programs at the 12 community colleges in San Bernardino and Riverside counties are so vital. And they often make far more sense than heading straight to a university. Anthony Carranza knows. The Navy veteran is entering a career as a certified dental hygienist – a profession that pays an average wage exceeding $90,000 annually in the Inland Empire – thanks to the skills he learned and the training he received at Moreno Valley College. Mitchell Powless knows. He’s a purchasing agent and logistics coordinator for Brenner-Fielder & Associates in Riverside thanks to the skills he learned and the training he received at Norco College. Gari Hewitt knows. She’s embarking on a new career as a nurse thanks the skills she learned and the training she received at Mt. San Jacinto College. Fleming points out that 27 percent of skilled professionals with a community college certificate or industry certification earn more than the average bachelor’s degree holder. And 33 percent of university graduates are toiling in jobs that do not require a degree. In fact, the number of students earning credentials or an associate degree in a career education field increased more than 70 percent from 2002 to 2012, according to the U.S. Department of Education’s National Assessment of Career and Technical Education. The need is profound. The top five industries in California that provide good jobs – which have median annual earnings of $55,000 or more – to employees without a bachelor’s degree is led by manufacturing, with 419,000 positions, followed closely behind by health services; information, financial activities and real estate; construction; and retail trade, according to a Georgetown University report. More than half of workers with good jobs in the information, financial activities and real estate sector have good jobs without a bachelor’s degree who have what are considered good jobs with median annual earnings of more than $60,000 annually. And you can’t argue with success. Students at Riverside City College’s Digital Media program saw a 98 percent increase in earnings after completing their studies, according to the California Community Colleges Chancellor’s Office. Virtually every student completing the Business Program at Norco College is now working in the field, and 88 percent of those students saw their earnings go up. 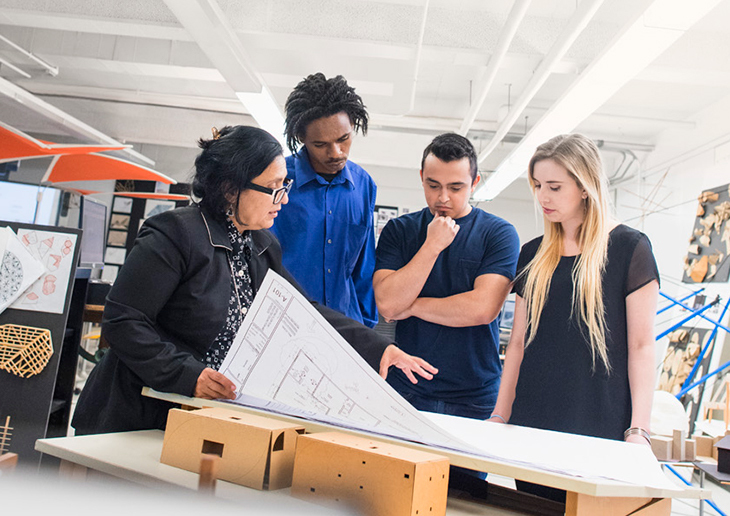 And at Chaffey College, every student who took part in the Electrical Systems and Mechanical Drafting programs are earning the regional living wage. Community colleges attribute their success to their close working relationship with business and industry in developing and carrying out their programs, their instructors who have ample experience in their field, and the low cost – just $46 per unit – that keeps students from going into debt.